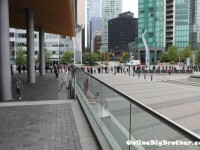 Big Brother Canada Vancouver Casting Call With Hayden Moss - What to expect when you audition! 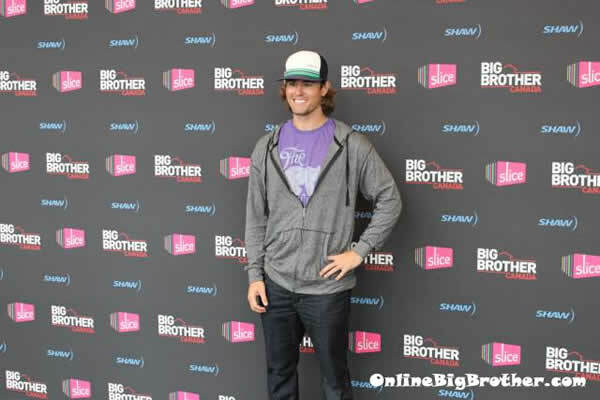 Big Brother Spoilers > Big Brother Canada > Season 1 > Big Brother Canada Vancouver Casting Call With Hayden Moss – What to expect when you audition! 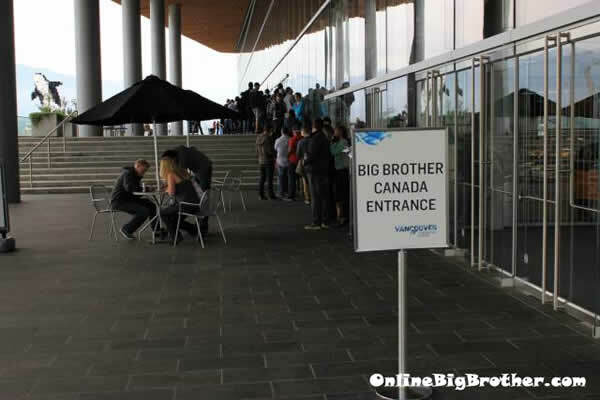 Casting for Big Brother Canada began on August 1st, 2012, where reality TV hopefuls were able to submit their audition video online. 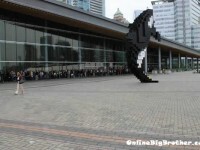 Today marked the first day for the in-person casting call auditions where the first stop in the cross Canada casting process was held at the Vancouver Convention Centre. The Big Brother Canada casting directors are looking to hand pick individuals to create a diverse cast, much like cast we have seen on the 14 seasons the US edition of Big Brother. Big Brother Canada is in search of extroverts, conformists, risk takers, adventurers, romantics, leaders, plotters and planners, and those who don’t mind a little healthy competition. If you’re ready to strategize with fellow Canadians living in a house packed with cameras watching your every move, Big Brother Canada wants to hear from you. 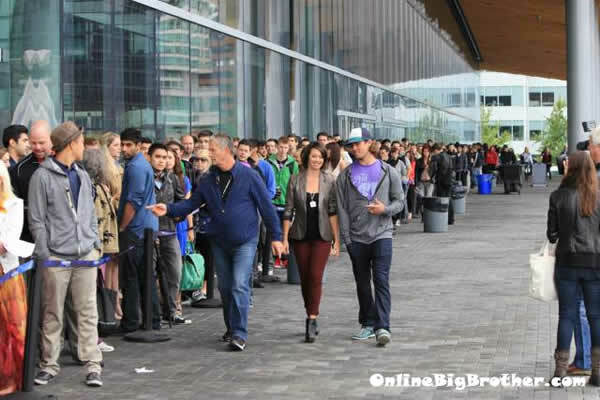 I got the opportunity to attend the first open casting call on the tour across Canada in search of the first group of Canadians to enter the Big Brother Canada house. The open casting call was scheduled for September 23, 2012 from 8am – 2pm. When I arrived at 8am I got signed in at the media desk and got a tour of the building and a run-down of the casting process. The rules specifically told applicants to not show up prior to the 8am start time; however I heard rumors that some die-hard fans showed up at 5am. I wouldn’t recommend showing up that early in advance as they stated they would send you away and it really wasn’t necessary as the audition process was fairly quick. At 8am I was told that there were approximately 350 people waiting in line for their chance to show the casting directors why they should be picked. 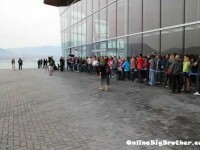 By 9am there were 520 people and just after 2pm the last applicant entered holding number 827. Robyn Kass is the casting director for Big Brother US and is also doing the casting for Big Brother Canada. I had the opportunity to speak with her and she had said that she was asked of all the big brother alumni who would she choose to make an appearance. She said that it was an easy decision to pick Hayden Moss as he is a very nice and likeable person. She commented that not all of the big brother alumni are that nice, especially after they leave the house. Robyn was extremely nice and willing to stop and chat with anyone. I was told that only the first (Vancouver) and the last stop (Toronto) in the audition process would have a guest appearance. 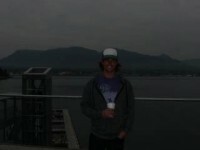 Sorry Calgary, Halifax and Montreal unfortunately you won’t have a Big Brother Alumni guest appearance. I was told that Toronto’s casting audition tentatively has Mike “Boogie” Malin and Dr. Will Kirby set to make an appearance. (During Big Brother 14 Mike “Boogie” commented in the house how he loves making appearances up in Canada because they pay really well so I think it’s a definite possibility for them to show up in Toronto.) All of the casting people said that they had no idea what to expect but that they were really happy with the turn out. . I overheard one of the casting directors comment on how they were really happy with the turn out and that there were energetic bubbly people and a lot of big brother fans that really know the game. They mentioned that the craziest person they saw at the audition was a man dressed up in skin tight “Village person” costume with very, short, shorts. 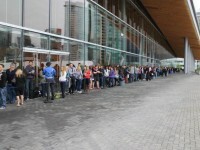 The applicants were lined up along the outside of the Vancouver Convention Centre all the way to the front of the building and down the street. While in line the applicants were given a number representing their place in the line. On the other side of that slip of paper was a short application which included: name, age, height, weight, email, address, marital status (married, engaged, single, widow), along with one question: Why would you be good on tv? While the applicants waited in line one by one their photo was taken along with their number. 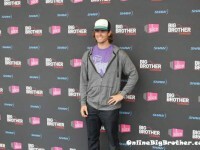 At 8:30am Big Brother 12 Winner Hayden Moss showed up and came outside to meet the applicants waiting in line. While outside Hayden walked the line and talked with applicants in addition to posing for countless photos. He was then interviewed by a number of media representatives such as local newspapers, Shaw Media and Entertainment Tonight (ET) Canada. The interviewer from ET Canada asked Hayden what his advice would be for someone about to audition. His advice was to pound a redbull before going in. (The photo above is the interviewers response to Hayden’s answer.) I got a chance to talk with Hayden and to take a bunch of photos of him and with him. 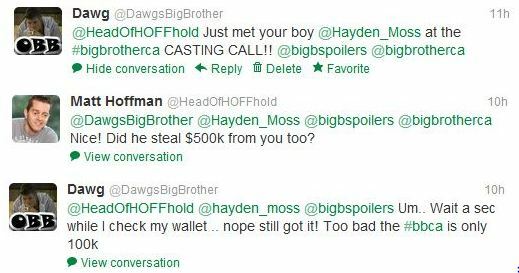 After meeting him I tweeted @HeadOfHOFFhold because I know he regularly follows OBB to let him know I met his boy. Groups of about 20 applicants were escorted inside the building where they would line up outside the holding room. 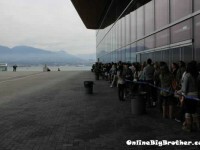 While waiting in line one of the members of the production staff told all the applicants “The game starts now, don’t tell anyone around you anything about you or why you are here.” As the applicant moved up to the front of the line their number was counted and they were ushered into the holding room. Inside the holding room, there were chairs scattered around the room were the applicants nervously and patiently waited to be sent into the audition room. Numbers were called in groups of 5 to sit in holding areas labelled A, B, C and D. While waiting for their group to be called a member of the casting team came by to each group and gave them a pep talk. Everyone was told to be themselves, to have fun and most importantly they were told not answer the questions as if they were at a job interview. They were instructed that they would be asked questions individually and as a group. 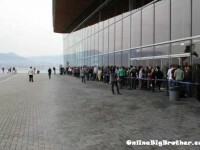 Each group was then called to enter the adjoining room where the auditions were being held. Inside the audition room there were a about six stations of casting directors where each group was assigned. The casting directors only asked a couple of questions so you don’t have a lot of opportunity to show them why they should pick you. What will make you stand out? Why should we pick you? What’s your marital status and how far would you take it with someone else in the house? 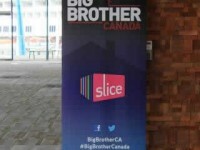 After a quick audition the groups were escorted out of the audition room where they could pick up some big brother swag which was covered with Big Brother Canada / Slice (iphone case, shot glass, beer holder, and a Frisbee). At the end of the audition there were only iphone cases and Frisbee’s left. Just so you know, from waiting at the end of the line to exiting the audition, the whole process took about 2 hours but that could vary at the upcoming auditions. GOOD LUCK TO ALL THOSE THAT APPLIED TODAY AND THOSE THAT PLAN TO APPLY AT THE UPCOMING CASTING CALLS!! Get more casting info and apply online here. If you are one of the lucky few that are picked to move on in the casting process you would be notified by 9pm the same day. You would then be asked to return in the following couple days to do a filmed audition. The next step in the audition process would be where the semi-finalists are flown out to Toronto to complete the final audition process and when the 12 – 14 house guests would be selected. 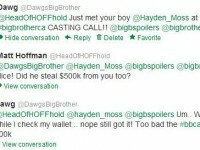 Here is a video of the holding room and then a clip of Hayden Moss being interviewed. 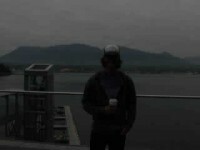 (Sorry the audio isn’t that great it was taken on my digital camera.) Also scroll to the bottom of the post to see over 40 photos from the event. The contestants will also live in a state of the art wired big brother house that will capture the audio and every move the house guests make. The house guests will also compete in weekly challenges and vote each other out one by one. 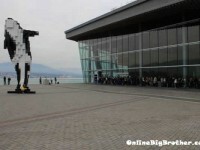 The Canadian edition is scheduled to have 3 weekly episodes; in addition, the viewing audience will also be able to watch via live streaming video of the house. The viewers will also have the opportunity to become involved with the show through social media to vote on decision that will affect the outcome of the house. You must be a Canadian citizen and at least 19 years old to apply. 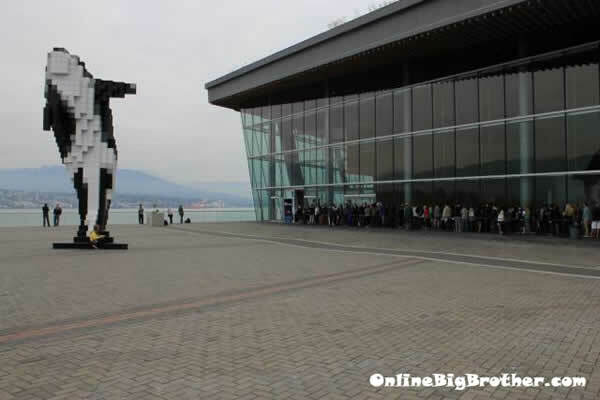 The Big Brother Canada premiere date has been tentatively set for February 18th, 2013. Excited…but shoulda made it around November to December so that We get BB twice a year! I’m pretty sure it begins in February, so we do! Dawg, Which one is you? I can’t believe you met Hayden! I can’t wait to watch Big Brother Canada. Has anyone else made it to the casting call other than Dawg and his crew? Are they’re going to have live feeds for BBCA? Will any network in the US cover it ? ? ? Can we watch it here ? ? ? 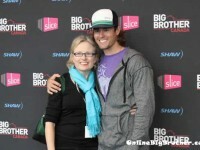 Thank you for all of your very hard work during BB14. I have spent many hours reading your site and have enjoyed every moment. Is this the first ever season of big brother Canada? Congrats to Canada for Big Brother yo. You guys have gotta be stoked about this. I know I will. Simon and Dawg. Back from vacation already? Because it’s a Canadian show! Haha. Diverse cast of BB14? Surely, you jest. I am sad to say, I didn’t see it. I already applied and going to the open casting call in Toronto you guys can follow me at @TheRealBatruck on twitter….thanks Simon and Dawg! @Simon. Two links I’d like to share that wrap up season 14 for me. Hopefully, you’ll post at least the first article. The second link has separate podcast interviews with Ian, Dan and Danielle that go somewhat deeper than other interviews in their questioning. Dan states he was planning to take Ian to the F2, while Danielle said she would of taken Shane. Good Luck to all the Canadian contestants. Give me some results! Simon and Dawg, do you guys really think it’s worth it to read Dan’s book before auditioning for BB?